Color M23, M22 and M32. Total 17 balls. US size 6 (4mm) needle. Blanket measures 32" X 32". It is knitted in individual squares from outside to inside. Stitches can be picked up to make next square to avoid sewing at end. 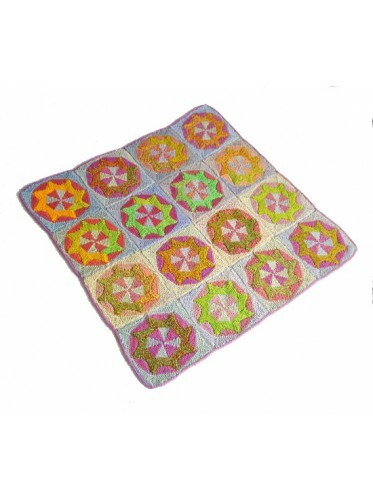 Square can also be made separately and sewed together at end.